It should really be Holly Moley since this is a post about Hillside Holly. Don’t get me wrong. I love Holly. 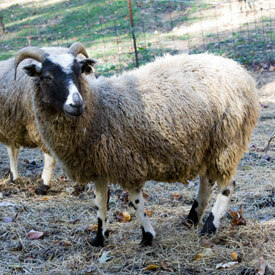 She is a beautiful ewe with an entertaining and outgoing personality. She is a talkative ewe with a loud deep voice. She is somewhat prone to complaining. She always sounds like she’s in labor, whether she be complaining that dinner is late or actually be in labor. Since March 25th marked the 150 day from the time she was bred, labor was a good guess for the cause of her caterwauling. But, in true Holly form, the hollering began much in advance of actual labor. 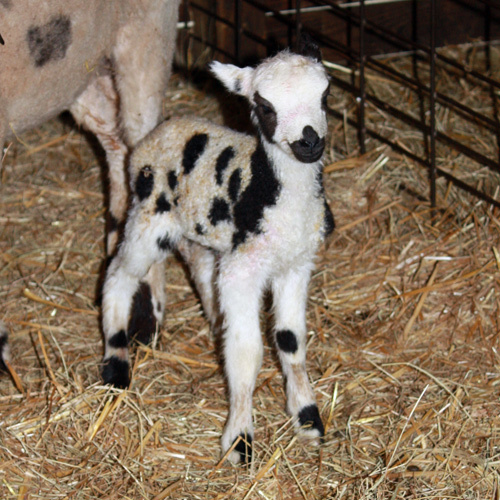 A word of caution – extreme hollering CAN indicate distress and possible lambing problems. I’m just pretty familiar with Holly and fairly good at recognizing actual distress signs. This was just Holly in her usual mode. Things processed well, although I have to confess to a quick check to be sure the lamb was being properly presented – just in case. 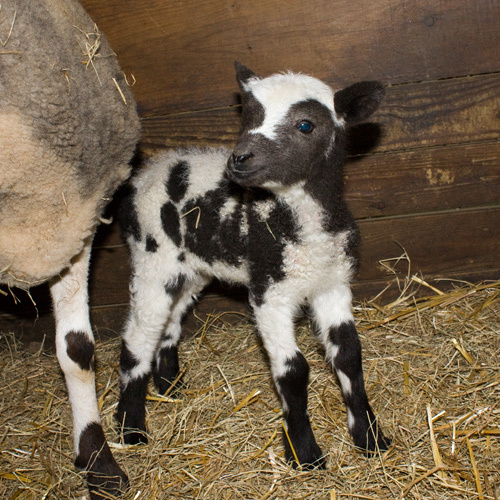 Patchwork Amelia (lilac ewe sired by Canoe Lake Comet) was lined up just right..
Patchwork Quinn was the next to lamb on March 29. Quinn is one of the three first time mothers in our flock this year. It’s always interesting to see how ewes will first react. Some ewes immediately begin to clean the lamb. And some stand back for a few minutes. Quinn was one of these. Her look of surprise was priceless. “what have I done? what is that?! !” Happily, as usually happens, after a few tentative sniffs of her new son, she was smitten. 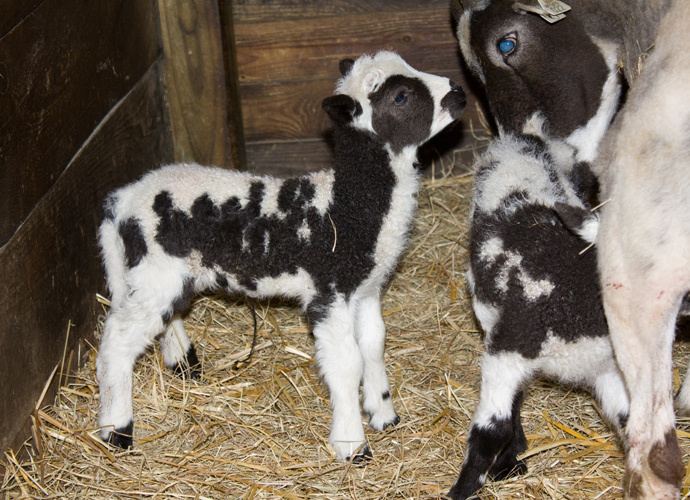 Patchwork Quigley – another lilac sired by Comet. Love those lilacs – definitely deserve the big, loud fanfare!! I too have a ewe that hollers I always check just in case. Yesterday she was bellowing, nothing happened and I would guess it happen soon. 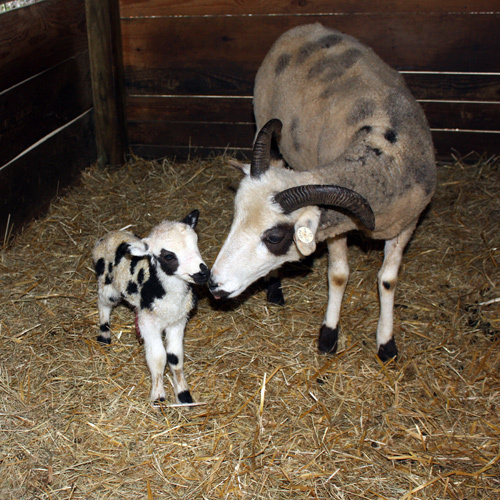 I had a crossbred ewe years ago that would really get to screaming. For some odd reason, the other ewes would join in.